What is the first thing you think about when you think about getting your ecommerce site? It is security. With the recent threats unleashed against Joomla! Moreover, WordPress sites, more people are becoming concerned about website design every day. Security is an integral part of any website design. 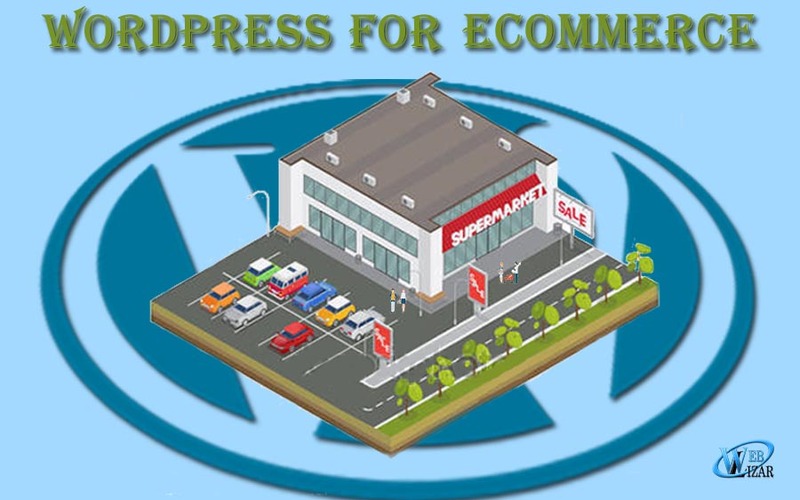 When we talk about business, there is nothing more important than the security of consumer data and that motivated me to write about some pro tips on why you should use wordpress for your e-commerce website? We like to believe that there is security in numbers. That is entirely accurate. There are over 60 million WordPress websites all across the globe. WordPressis the leader of CMS without a doubt. This brings some sense of security among the users. However, that also makes WordPress sites more vulnerable to security attacks. If a hacker can design a malware for one optimized website, he can gain access to at least a thousand more.This is a valid concern many WordPress admins have. We should not forget that millions of e-commerce websites are already running on WordPress engines. Since a mass threat is always a reality, this open source platform is ready with counter mechanisms to protect the sites. This is the advantage of using an open source platform. The security plugins are always evolving. All members of the WordPress community are working towards improving the malware protection features of all WordPress powered sites. There are updates and patches for loopholes that are coming up every day. The security is constantly evolving. In reality, the security of WordPress is already good enough. There are a few measures you can take to secure your website further before any attack takes place. This will protect your site against brute force attacks. If you enable a site lockdown feature after some failed login attempts, hackers cannot get unlimited tries. The moment hackers try to log in repetitively; the authorities will notify you. You can find several plugins to impose website lockdown under pre-specified conditions. Your DBA can mention the number of attempts after which the plugin will block the user’s IP address. A two-factor authentication or 2FA is a good security measure. The user will have to provide separate login details for two distinct components. The 2FA can be the combination of a password with a secret question or a secret code or a set of characters. Many experts recommend the Google Authenticator plugin for this function. You can access your WordPress login page by adding wp-login.php or wp-admin to your website URL. This means, your hackers know your login URL and will try to brute force their way into the admin panel of your WordPress site. Once you have already authorized website lockdown, you can also rename the login URL to block 99% of all brute force attacks. This nifty little trick can save millions of dollars. An experienced DBA consultant will be able to help you select login URLs that can render your site safe from attacks. If you want your e-commerce website to function smoothly without any threats, make sure your password game is strong. You should try using a password generator plugin to improve the strength of your passwords. You can combine uppercase, lowercase, numbers and special characters to generate a safe and strong password. Think of the wp-admin as the heart of your WordPress site. If anyone gains access to this part of your site, he or she have access to the whole website. One way to ensure that this never happens is to password protect the wp-admin directory. We recommend using two passwords for authorizing access to the wp-admin directory. The first password will protect the login page. The second one will protect the WP admin area. The easiest way to achieve this is to seek help from professional DBA consultants. Even a remote DBA has all the experience your website needs to stay safe from hackers and SQL injection attacks. Using a Secure Socket Layer certification is another smart way to secure your admin panel. SSL secures the data transfer between the server and the user browsers. In addition to security, the SSL certification also helps with generating traffic. Websites with an SSL certification are marked safe for browsing by Google. They automatically enjoy higher ranking and increase CTR. Most users are quite uncreative when it comes to selecting usernames for their admin profiles. Choosing “admin” as your username automatically makes you more susceptible to hacking attacks. Change it to something more personally relevant. An anagram of your name or a combination of your mother’s maiden name and your name.Only using a trustworthy security plugin to manage your login details also helps. If you have already used WordPress for any website, you are familiar with the wp- table prefix. Keeping your DB table prefix unchanged makes your site DB more prone to SQL injection attacks. Changing it to something simple like mywp- or wpyourname- prevents such attacks. You can use plugins like the WP-DBManager to add more security with the click of a button. This file holds important information. In fact, the wp-config.php file is the most important file in the history of your website’s root. You should take all possible measures, including moving it to a level higher than your root directory, to make your site more secure. You should set the directory permissions to “755” and the files to “644”. This will protect your directories, sub directories and all individual files. You can do this manually using the File Manager. In addition to these added steps, you should update your WordPress frequently. This will make sure, your website infrastructure has the latest security patches required to prevent malware attacks. Sujain Thomas is a senior DBA. She leads a team of brilliant DBA consultants who cater to a successful clientele mainly consisting of entrepreneurs.